Ch-Ch-Ch-Chia. My Kids Got a Kick out of the SpongeBob Chia Pet. 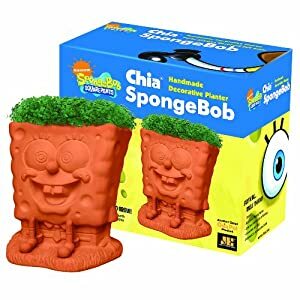 Of course my kids totally didn’t get my singing the 80’s Chia Pet commercial as we got the seeds ready for our family’s new SpongeBob Chia Pet. This past weekend, we prepped our new Chia Pet – the SpongeBob Chia Pet. I love that this old classic is still around. 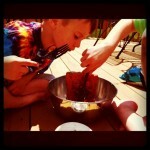 My boys got a kick out of putting the seeds onto the Chia Pet this weekend. Now we get to wait for the seeds to sprout! They were totally into it. Get the SpongeBob Chia Pet on Amazon for $15.27 with free shipping. a Sponge Bob Chia- “who woudd thunk it” too hilarious! Chia pets are so funny! ðŸ˜€ They need more selection though. I want a Chia Einstein head! hahaha nice information thanks for sharing…….